Genesis is a nursing home operator. Naturally, the most common kind of lawsuit against the company would be the generic term: nursing home lawsuit. In Baltimore, and the surrounding area, and throughout Maryland, nursing home lawsuit is not specifically designated as a kind of lawsuit within the court system. there are, however, lawyers who specialize in nursing home cases in Baltimore and around Maryland. 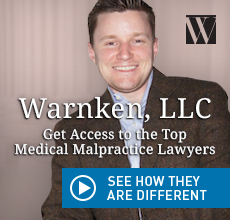 Just because it’s not a specific case type doesn’t mean you can’t find an attorney with that sub-specialty. According the Maryland Judiciary Case Search, Genesis Healthcare, entered with that exact spelling, has been sued as the defendant in civil cases in the Maryland circuit court systems 36 times since September 2012. There were a wide variety of firms that litigated against Genesis Healthcare including: Bennett & Heyman, Dever & Feldstein, Costello Law Group, Ashcraft & Gerel, ChasenBoscolo Injury Lawyers, and Asmar, Schor & McKenna. Genesis Healthcare provides rehabilitation therapy, nursing, and long term and senior care services in more than 400 United States locations. Genesis Healthcare is an umbrella company uses many different holding companies and limited liability corporations to run their particular centers. Genesis Healthcare’s nursing homes in Maryland include Bradford Oaks Center, Salisbury Rehab. & Nursing Center, Catonsville Commons, Powerback Rehabilitation, Layhill Center, Spa Creek Center, and Loch Raven Center, among many others. If a loved one has been injured by Genesis Healthcare or any of its affiliated organizations, contact the FeeReducer. While Genesis Healthcare may be the cause of your personal injury inquiry, the company can also be named as a plaintiff in a court case. A search for “Genesis Healthcare” as a plaintiff produces over 200 results, and the vast majority of which are guardianship claims.